Amka Aliyak is investigating a suspicious new factory in her hometown of Pangnirtung, Nunavut when she meets a team of teenage superheroes. The Marvel Comics universe is heading to Canada's north where the Champions — a diverse group of superheroes that includes teen versions of Spider-Man, Ms. Marvel and the Hulk — will meet the newest member of their group: Amka Aliyak, a.k.a. Snowguard. Amka is an Inuit teenager from Pangnirtung, Nunavut. Described as an "independent, courageous and headstrong" young woman, Amka decides to investigate a mysterious factory that has sprung up overnight near her community. 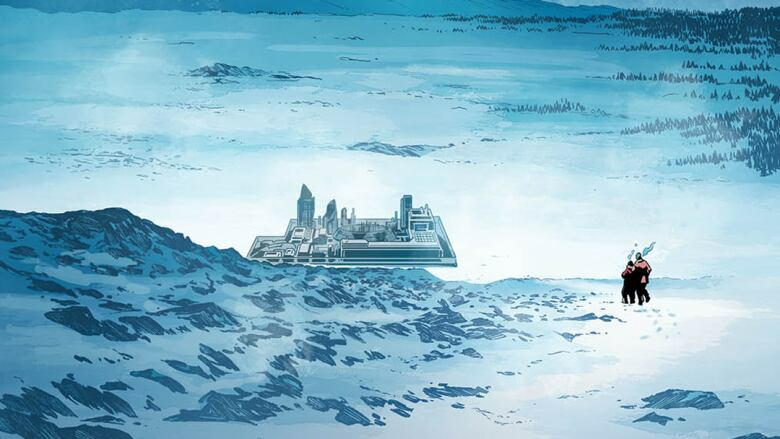 "What she discovers there is a villain using the spiritual energy of the land to fuel his plans for conquest," said Marvel writer Jim Zub in an email interview with CBC Books. "Amka tries to release the spirits that have been captured and in the course of that ends up becoming empowered with their energy." 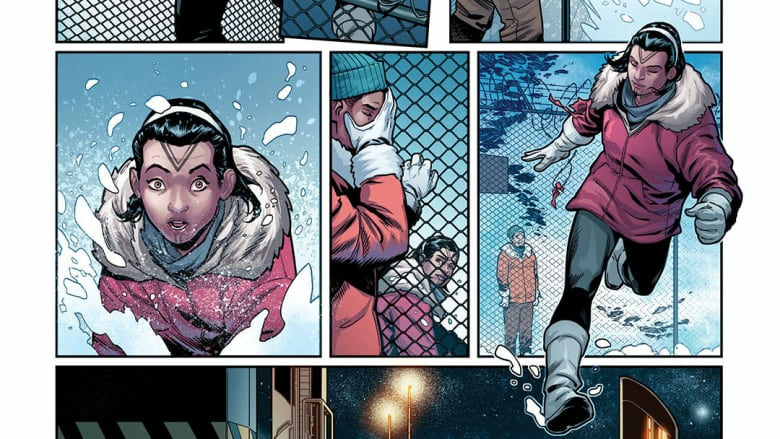 Amka's superhero identity, Snowguard, will be introduced in Champions #21 in late June. 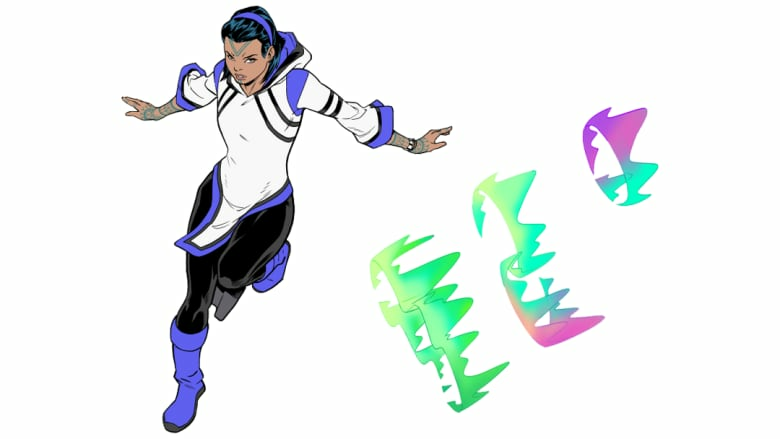 Her new abilities, powered by an Inuit spirit/force called "Sila," allow her to shapeshift and take on animal traits. "Depending on how she changes her shape, she can gain strength, stamina, and speed along with fur, claws, a powerful bite, antlers, or even feathered wings," said Zub, who is based in Toronto. "She changes shape and form to suit her needs, and sometimes even her moods." To develop the character, Zub sought out the advice of Nyla Innuksuk, founder of the Toronto-based virtual reality production company Mixtape VR, who is Inuit and grew up in Igloolik and Iqaluit. 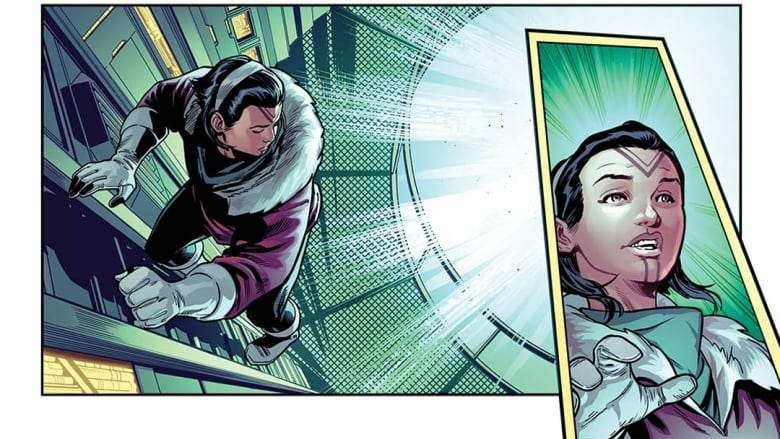 "I was really excited to hear that there would be an Inuk superhero in the Marvel Universe... Inuit are oral storytellers and our myths and legends are full of spirits and characters that take both human and animal forms, so I was excited to see how those elements could be interpreted within the structure of a graphic novel," said Innuksuk. "There is a certain amount of hesitancy that I feel when I hear about a non-Indigenous organization interpreting Inuit culture for a commercial project. What I valued with Champions was that Jim and the team at Marvel had reached out early in the process to have input from an Inuk collaborator." Innuksuk offered guidance on various aspects of Inuit life in northern Canada, down to the minutiae of everyday existence. "I think there are just basic things about life in the Arctic that people in 'the south' don't realize. I gave Jim some insight into the belief system within traditional Inuit culture including the Sila, which is essentially a life force that exists within everything in the North," said Innuksuk. "I provided information on traditional Inuit tattoos, contemporary and traditional style of dress, the look of houses and communities. We also just had a long conversation about daily life in the Arctic. Simple things that you might not normally think about; what do you do with sewage or garbage, how many hours of sunlight are there, how do you get groceries. These are the small details that help provide an authenticity that won't exist if you are writing about a place that you've never been to." Setting the story in Pangnirtung, where Amka lives, was also Innuksuk's idea. It's where her young nephews live. 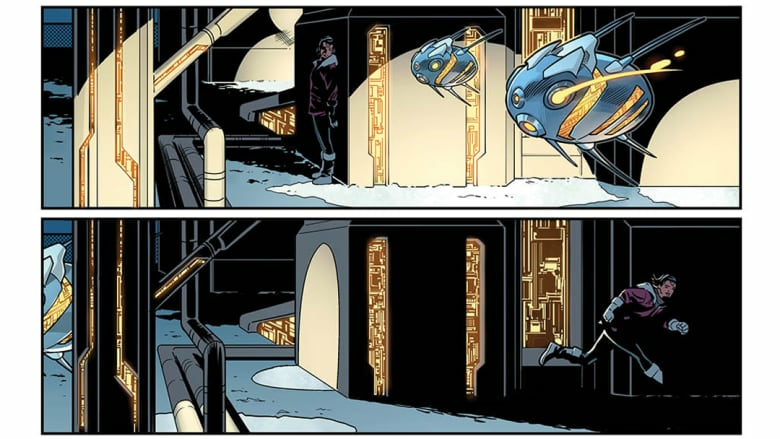 "[P]ersonally I was excited that they would be able to read a comic book that takes place in their home town. It is also one of the most beautiful places in the world in the middle of the Fjords and is still steeped in traditional culture, so it makes sense to have a character like Amka come from Pang," said Innuksuk. Snowguard will join the Champions as its newest frontline member and Zub plans to keep writing about her adventures as long as he's writing the series. Innuksuk believes she will resonate with members of the Inuit community. "Amka is an activist and cares about real issues. In the Arctic there are a lot of things to fight for; food security, environmental impact, social issues, lack of resources…et cetera. To see a young woman fighting for her community is the kind of story that needs to be told," said Innuksuk. "Indigenous women are often represented in mainstream media as victims, and to see a powerful young person who is fighting back against what she sees as wrong has the potential to make a real difference." How close are we to creating a real-life super soldier?